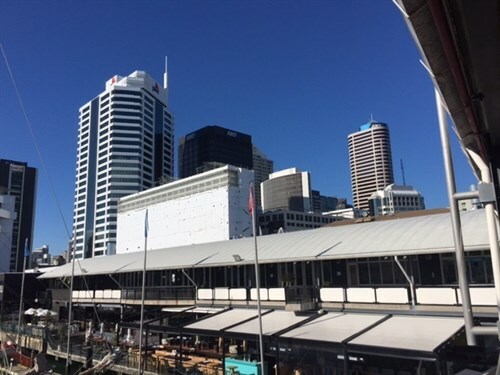 Opened by Prime Minister Jim Bolger in August 1993, the NZ Maritime Museum is a fitting tribute to New Zealand’s seafaring heritage – and what a history it is! With interactive exhibitions and a vast collection of fascinating Maritime relics, visitors are taken on a journey from the moment they set foot in the door. Visited by thousands annually, this building is held close in the hearts of many New Zealanders, therefore it is essential that it is regularly maintained to be able to fill the hearts and minds of those in years to come. The building itself is set right on the waterfront, so the level of wear and tear is somewhat greater than your average building. The salt from the nearby sea alone is enough to wreak havoc on the exterior paint, and maintenance is high for a building expected to withstand some harsh conditions. Unique Services were recently called upon to repaint the museum’s roof. This was no easy feat for a roof that covers an area of about 1300­2. It was time to call in the big guns, and we were ready and able to take on the challenge. The location of the building meant this job had some very unique factors to consider. 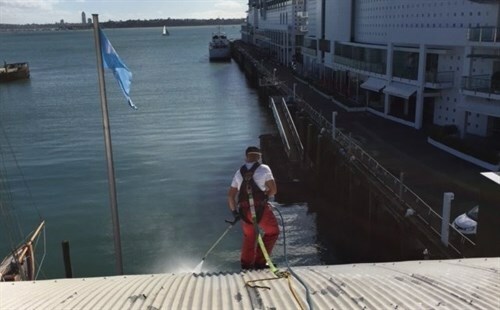 Unlike city-based buildings, the New Zealand Maritime Museum is situated right on the Auckland harbour and constantly hit with some of the country’s harshest marine conditions. The harsh effects of salt air can have a result on the paint on the building’s exterior causing corrosion, if the wrong paint decisions were made. It was our job to get it right. We had our technical staff come up with a specification that would give the best possible result for the Museum. It had to be easy to apply, and strong enough to withstand the effects of the salt air. One of our main focuses was to avoid chemicals leaching into the harbour. At Unique Services, we try to have minimal effect on the environment, so we weren’t prepared to get this wrong. 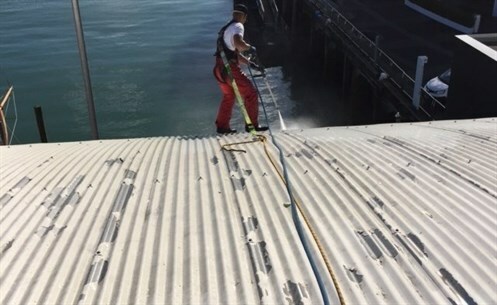 In order to get around the possibility of chemicals entering the harbour, our technical team created a paint that was not only robust, but required minimal cleaning. This significantly reduced the paint’s impact on both the environment and our beloved sea. Unique Services has highly qualified technical staff who can create the right paint for any building in any condition. We thoroughly assess the job before it is undertaken in order to ensure the work is long-lasting and of a high standard. What we came up with was a paint specification for the NZ Maritime Museum that ticked all the boxes. Important note: Any contamination or moisture which occurs between coats must be removed by suitable means before applying successive coats in the system. 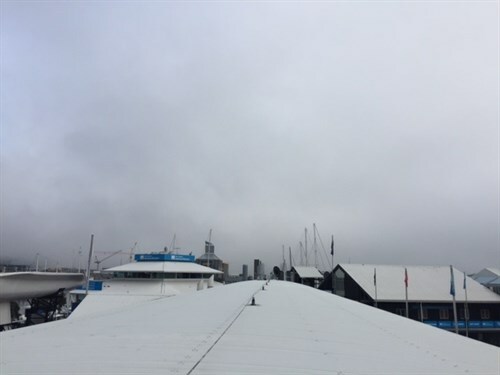 During the painting of the NZ Maritime Museum’s roof, we proved to ourselves again, that our team has some exceptional problem-solving abilities. This treasured building is now in a fit state to carry on educating it’s visitors about the country’s maritime history under a strong and low-maintenance roof. Unique Services has vast experience in roofing and gutter linings for both commercial and industrial buildings. As a fully-approved applicator of major paint and chemical manufacturers, Unique Services can come up with a remedial solution, even when others may have failed you in the past. In need of some maintenance work on your roof? Give Unique Services a call today and get a professional and highly qualified team on the job.